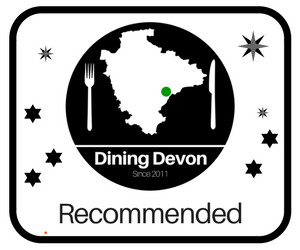 At Eating Exeter, Dining Devon we are massive fans of the Exeter Cookery School. We have seen them develop and flourish from their launch, and they’ve continued to grow from strength to strength. We recently went down to help them celebrate their 1st birthday in their current premises with the owners, Jim and Lucy Fisher. For more information visit http://www.exetercookeryschool.co.uk or click on the title of each course! The sheer range of courses that are available is mind-boggling, from seafood to sugar-spinning, you can sharpen your culinary skills whilst admiring the beautiful surroundings on Exeter’s historic quayside. Are you a seasoned vegetarian looking for some fresh inspiration to pep up your repertoire?Maybe you’re new to vegetarianism and want some guidance and are keen to learn a few key veggie techniques. Or perhaps you’re an omnivore, but are thinking that you’d like to be able to cook for your vegetarian friends or family members.Well, whichever is the case, this is the course for you. You’ll learn how to prepare and cook vegetables and vegetarian dishes from scratch in a fun and friendly environment.We’ll teach you all manner of professional cookery tips including cook-ahead and pre-prep methods. Dishes might include the tower of riddled Mediterranean vegetables, the classic Greek Spanakopita, or freshly made raviolis. What do you do on the first morning of your long-awaited French holiday? If you’re anything like us you seek out a popular cafe or patisserie, pull up a chair, sit down in the sun and order your first croissant of the year! If you’ve been to France before you’ll know that the locals eat theirs just as they are, or dunk them into a bowl of hot cafe crème. We Brits like ours with a knob of butter and a spoon of jam, but either way there’s no denying the exquisite pleasure that is the archetypal French breakfast. But, returning home for work on Monday, France seems a million miles away. So what better than to knock up a batch of croissants in order to relive your moment in the sun? And while you’re at it, you may as well make some other staples as well. That’s where we come in: we’ll show you how to make authentic croissants and, using the same dough, you’ll also create some pain aux raisins and pains au chocolat. While we’re on a roll (pun intended), we’ll also make some crusty baguettes to have with lunch.And who knows, maybe we’ll even get to sit in the sun! Dessert Louis XV is the invention of Alain Ducasse of the three Michelin-star restaurant Le Louis XV-Alain Ducasse at the Hôtel de Paris in Monte Carlo.It is a many-layered chocolate extravagance: the base is a thin Dacquoise (hazelnut meringue) followed by a crunchy feulletine layer, then a rich sumptuous chocolate mousse. The whole is then draped with liquid chocolate and topped with a hazelnut spun-sugar droplet and a flutter of gold leaf. Lemon Posset with Raspberry Sorbet, Strawberry Leather, Strawberry & Black Pepper Shortbread – Our chef’s signature dessert. Let’s get one thing straight: eating ice cream is about experiencing that luxurious cool texture and rich tongue-coating flavour we never forget from childhood. And herein lies the secret to making and serving great ice cream: it’s about using full-fat cream, free-range egg yolks, sugar and strong natural flavourings. Forget your skimmed milk, reduced sugar, yoghurt-based grainy horrors – we’re talking full-on guilty pleasure here!But, making ice cream brings with it a fear of curdling the custard base which can put a lot of cooks off. So, on your Half Day Ice Cream & Sorbet Making Course, you’ll learn how to make a perfect Crème Anglaise custard base, but with a little twist that makes use of a small amount of natural chemistry knowledge. Don’t worry, we won’t be using any weird chemicals, but you will gain a fascinating glimpse into the world of proteins, sugars and gels. And it never fails! We’ll answer a few questions, too – for instance: what makes a custard curdle, and what, if anything, can be done to rectify it; is there a correct temperature at which to serve ice cream; how to achieve that professional smooth finish, but without having to buy expensive gadgets. Our one day bread-making course covers more than just making rolls and loaves: after a brief introductory chat by the chef over coffee and biscuits, you’ll be shown how to choose the correct flour, yeast and other ingredients for each bread type. You’ll be preparing everything from scratch, which means weighing, mixing and kneading the ingredients to form the various required doughs. During the day, while you’re kneading and stretching dough around the communal central island, our chef will explain the chemistry involved in making bread and how you can take advantage of this knowledge to achieve consistent results at home. For instance; the reasons why one batch of dough will rise perfectly one day while another might fall flat the next; how temperature affects the rise; how you can refrigerate or even freeze active bread dough; why we choose a high gluten content flour for one type of bread, but a low gluten flour for another.While your breads are proving, you will be making various fillings and preparing tins, etc, prior to baking. Lunch will be a buffet laid out by us and will include some of the bread you’ve made.At the end of the course, you will be able to take home everything you’ve made in order to show off your new-found skills to family and friends. Learning all about using fresh ingredients, the basics of following a recipe and the core principals of how to cook should be an integral part of a child’s education. At Exeter Cookery School, we firmly believe that children should be inspired to cook from scratch so that they can truly explore the joys of cooking as well as giving them a firm founding in food education that will last them a lifetime. On our half day children’s cookery course we will be teaching children between the ages of 10 and 14 how to cook a basic bread dough, which they will use to create a delicious pizza and garlic pizza bread or dough balls. The children on our half day children’s cookery course will also learn how to make and pipe Swiss meringues, combining them with a Chantilly cream to form a delicious pudding for the summer. Add handfuls of fresh summer berries and you have the makings of a dessert that will delight the whole family. Want to learn how to bake a cake for the loved ones in your life? Or have a better chance in your workplace charity bake off events? Or even just love cake and want to be able to recreate it yourself with better results, this is the course for you. You’ll learn how to make a traditional Victoria sponge with buttercream icing.This classic cake first came to popularity way back in the 1840s, made possible by the invention of baking powder. The sweet-toothed British public embraced the gloriously patriotic recipe with aplomb. Mrs Beeton’s version of how to bake a Victoria sponge may have been slightly underwhelming as they contained no eggs. However, over the last century and a half there have been many different incarnations of the classic Victoria sponge cake, all baked with love and in many cases accolades. We can help you create your own Victoria Sponge award winner. Then comes the chocolatey gooey bit, where you’ll learn how to make failsafe chocolate brownies using the melting technique. Whether you want to learn how to make brownies for a school bake sale or are hosting a coffee morning and want to impress your friends, our chocolate brownie recipe will tick all the boxes. 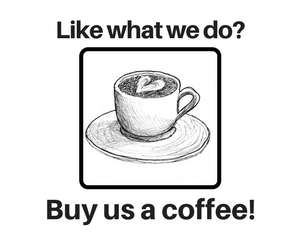 We can’t really think of a better way to spend the morning or afternoon, and what’s better, you get to take away with you what you’ve cooked.